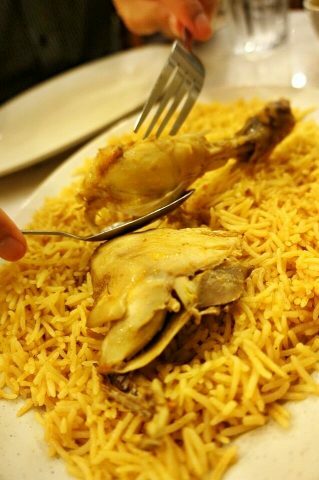 Craving for Arabian taste in a very convenient place yet inexpensive? 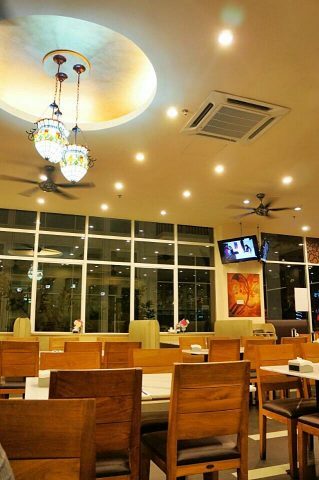 Dima at Oasis Ara Damansara is a great choice! Drive to Oasis Ara Damansara and you will find a yellow sign on the corner of this upcoming hangout place with DIMA n it. We’re celebrating my hubby’s birthday this year with these scrumptious and fulfilling food. Huge portion but still we ate like hunger men. 1 big plate of Madghot Chichken (RM 14) & 1 big plate of Kabsah Chicken (RM 14) accompany with Daggah Beef (RM 10) which made us really full. The chicken is soooo tender and you can really taste the spice in the rice (even Daanya like it). 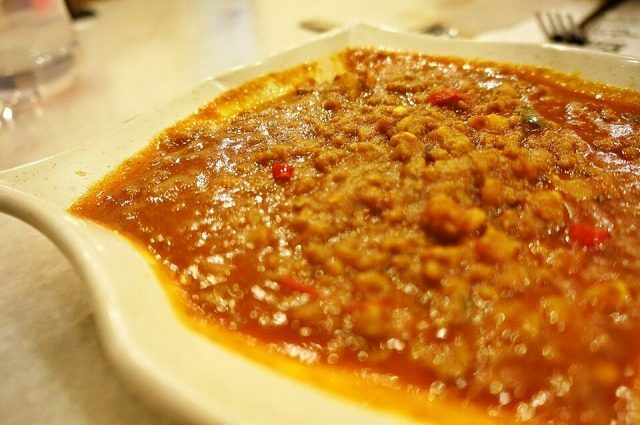 As for the Daggah Beef, we thought its like bolognaise with a twist. Since its so hot hot hot! As for the ambience, you will find it very cozy as well as roomy especially if you have a big party. A very comfortable place if you also bring your baby/kids. Celebrate Arabic food with Dima!